Let me point you to the original inspiration for the Toa Canisters: his medication, which he imagined contained little warriors going to fight his disease. ...or the eldritch being Tren Krom. Why'd I think through this? It's late. I should be in bed. Less than a month? How was it alive for the past 33 months? I imagine he meant the community but yeah it's poorly phrased. There was an argument over whether or not the community’s enthusiasm about Bionicle was dying out. Now, it’s kind of clear it hasn’t, or at least came back. I honestly wouldn’t mind not getting sets at this point. 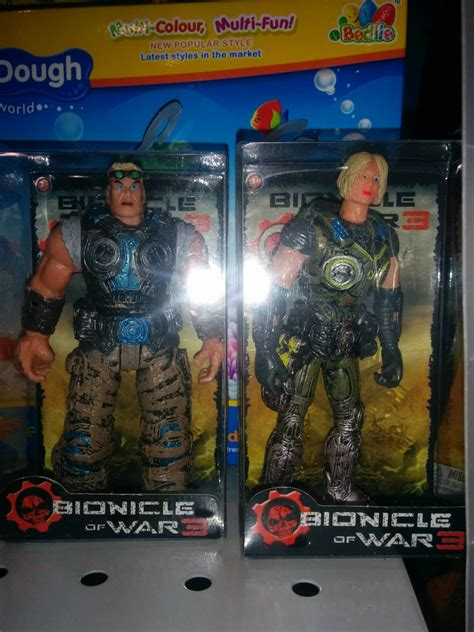 I feel like Bionicle has evolved beyond a toy line. All I want is some serials, animatics, books, or comics. I'm not really sure on this. I can't seem to build up any exitement for this or the idea that Bionicle might come back. Personally I think Lego should celebrate bionicle by reissuing old bionicle sets so people who didn’t get them get a chance to. Heck maybe even fix the easily breakable parts. Thing is that probably wouldn't sell well on a large scale. The sets would be exclusive or limited edition. Not to mention the expences of digging up, reusing, and possibly remaking old molds. Its a beautiful idea, but not a financially sound one. Personally I think Lego is pretty rich so it could be possible, but you’re probably right. I could possibly see something like that as a small scale Amazon or Lego Shop exclusive line. Most likely just canister sets or only doing one year. Supply would have to be fairly limited in case it fails. the problem with that is most of the molds have been destroyed, and melted into statues of Master Builders (that part was a joke by an MB on Eurobricks). It would be disastrous for the company to have to recast all those molds. However, Bionicle's 20 year anniversary is coming up, and I think Lego should absolutely try to do something for that. Nothing as drastic as reissuing old sets, but maybe some commemorative minifigs or brickheadz. Maybe even some small scale CCBS sets, something like the Stars only not terrible. Hypothetically if they happen to still have the molds to reissue the old sets, I don’t see why not. It requires little work and effort for decent rewards if they market it well. That's a huge "hypothetically", though. And even if they managed to have the machines to reprint those parts... it's not "minimal effort", they've still got do dedicate the power, the machines and plastic, redo the packaging, etc. The only advantage they have over brand new sets is that their design has been finalized. And it sounds like a guaranteed net loss, the market of "people who didn't get them (and wanted them) get a chance to" is pretty small, and most of those can go to eBay or Bricklink to satisfy their urges. They celebrated the LEGO Star Wars 20th anniversary... They really should do something about Bionicle's 20th anniversary. It's their original property, after all, and if SW got those Tribute sets, I don't see why something like that wouldn't work for Bionicle. That would be how I guess LEGO’s take on it would be. thing is, those tribute sets are really more like the sets that LEGO has already done before, but this time including a minifigure that's made to look more like the figures from that era, which is arguably easier to do than to find some old mold or coloring/textures to make the sets look more like the original ones. Really, if LEGO tried to make Tribute sets of Bionicle now, it would probably be more like a remake version of those sets with the newer construction methods that currently exist, with maybe a mask included that's based on one of the masks from G1 or the like. That at least sounds more possible that LEGO digging up old molds to make sets out off. New post from Faber. Looks like he wants to go the 2001 route in terms of the Toa's arrival. "Wake up. Stand up. There you go. You were dreaming. What's your name? Well, not even last night's storm could wake you. I've heard them say we've reached Morrowind, I'm sure they'll let us go." This is amazing! The art is fantastic, and I love that little hint of a canister in the corner. You're doing good Faber! This will be spectacular!